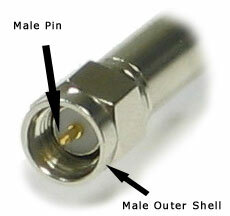 Threads of the male connector are on the inside of the connector and mate with the SMA Female Connector. 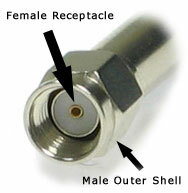 Threads of the male connector are on the inside of the connector and mate with the SMA-RP (Reverse Polarity) Female Connector. 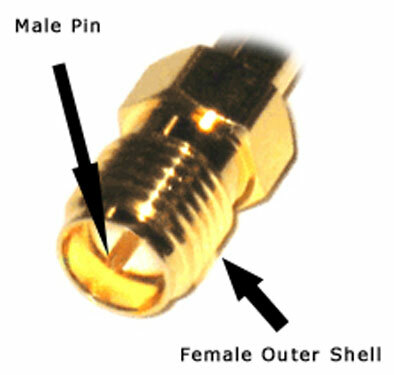 Threads of the female connector are on the outside of the connector and mates with the SMA Male Connector. 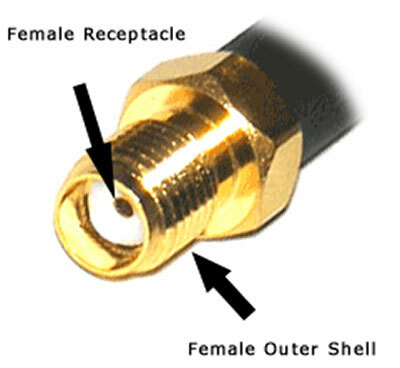 Threads of the female connector are on the outside of the connector and mates with SMA-RP (Reverse Polarity) Female Connector.